Some exciting product unveiling and announcements were done at CES this year. Some new iOS compatible products were also displayed in the event. At the CES some latest mobile phones for 2013 were also unveiled. In this article we will discuss about some iOS accessories that will be hitting the market in 2013. Celluon, the portable projection keyboard designed for the iPhone is absolutely ready for the prime time and extremely accurate. Typing on this keyboard feels exactly like typing on the iPad. 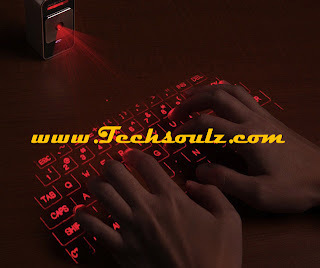 The surface of the QWERTY keyboard becomes a trackpad for the devices with trackpad or mice input and it can even be disengaged. Depending upon the model it can last for 3 to 5 hours. There is a battery inside for recharging and it gets connected though Bluetooth. The top spot in the category of cases for the new iPhone is earned by the RAILkase from Scosche. Currently it is available for the iPhone 4s, but the newer version designed for the iPhone 5 is much more streamlined and trim. It locks the phone into the aluminum bumper using a double hinged system on the top right and bottom of the case. The silicon inside the bumper offers extra support against the bumps and prevents the iPhone from scratching. This superb case for the iPhone is set to come in mid 2013. The highlight of the show was Element’s Ronin, but it is slightly expensive than the RAILkase. This is the most elegant case system that we have even seen, and it cost $200. A fine combination of genuine leather backplates, machine cut wooden side rails, and nickel plated 6061 is wrapped superbly in a leather slip pouch. The model of the iPhone 5 was unveiled during the CES and is now available for buying. You should go for it if you don’t mind spending some money. 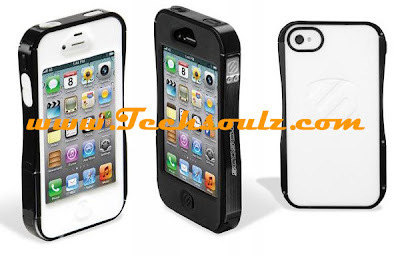 It is another outstanding case for the iPhone that is revealed by the Case Mate. It is a high-end option for the discerning preference. This Crafted collection features tortoiseshell, rosewood, and hand lain mother of pearl. This magnificent case featuring the pearl is available for $150. The Vaja collection is really quality line up featuring natural materials and genuine leather. You can even customize the color and leather type during the process of ordering. From iPad mini portfolios to iPhone clutches, the Vaja line will definitely become a big hit once it is released in the market. 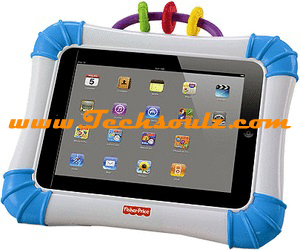 The Fisher-Price enters the market of iOS compatible accessories along with a barn yard toy for the tikes. It is especially designed for an iPad, and features an interactive display which matches perfectly with the hardware. Depending upon how the kid interacts with the device or which animal is seen on the screen the barn yard reacts in specific ways. For instance, when the water pump is pressed several times, the playing space is flooded with water. It’s a really exciting device for children and will hit the market in the mid year. Author Bio: Are you interested in apple products? Well Harold Peterson has been reviewing apple products since 2009. 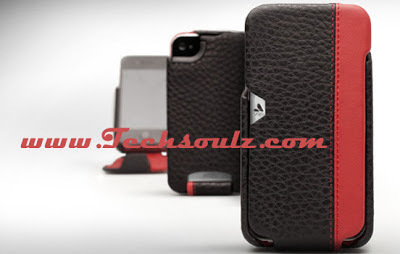 From latest tech reviews to cool iPhone 5 accessories, you can find all in his blog.